Finally! I am so excited I can barely type this! A true Oscar champion has emerged at TIFF’14! FINALLY! I was about to give up hope! motor-neuron disease that stripped him of all his faculties, walking, holding anything in his hands, and finally talking. 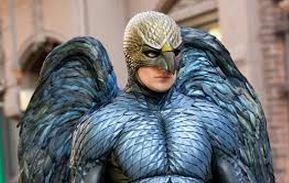 And yes, he triumphs over all of these multiple disabilities and is still alive today at age 72, so the film notes at the end. Redmayne is just incredible in this. 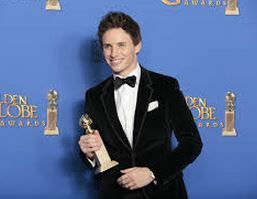 He wowed all and sundry last year in “Les Miserables” as Marius. And now he’ll break your heart several times over as Hawking, and he’ll make you weep at the end. Oscar is gonna love this! I PREDICT! It’s mindful of the career-making performance of Daniel Day-Lewis in “My Left Foot” which won DDL his first Oscar quite awhile ago. And I haven’t seen a performance of this kind of extreme disability combined with extreme skill and heart since then. And right beside him is the equally young and gifted Felicity Jones as his devoted wife Jane, who is as incredible in her own right as Redmayne is in his. I predict she’ll get nominated for Best Actress, too. The long-suffering wife is an academy staple. And it’ll be nominated for Best Picture, also. 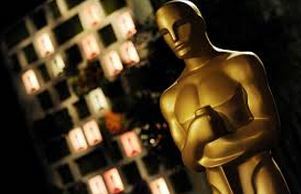 And Best Adapted Screenplay. It’s based on Jane Hawking’s memoir. And she is the personification of the word valiant.Oscar nods for everyone! 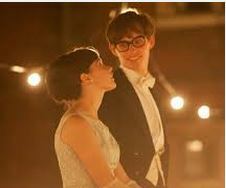 “The Theory of Everything” is a love story and a very powerful one. Bring all the handkerchiefs you can find. You’ll cry your eyes out, but you’ll leave the theater happy. As this hardened press and industry audience at TIFF collectively melted in Redmayne’s and Jones’ expert hands and there were audible sobs heard everywhere, and thunderous applause at the Princess of Wales theater in Toronto at the end of the film. Then again, when Eddie Redmayne’s name came up. I haven’t experienced that anywhere this year at TIFF’14. If TIFF is an Oscar launch-pad then consider Eddie Redmayne, Felicity Jones and “The Theory of Everything” launched into the stratosphere! It’s experiences and films like this that make TIFF unforgettable! Once again!